More crazy fun than any other catnip!” guaranteed. Our 100% natural catnip leaf is cultivated by a world renowned grower of herbs in the high altitudes of North America. 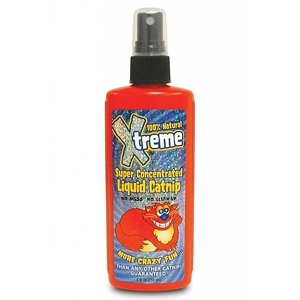 Our Super Concentrated Catnip Spray with no mess and no clean up. Spray it on anything and watch the crazy fun begin.